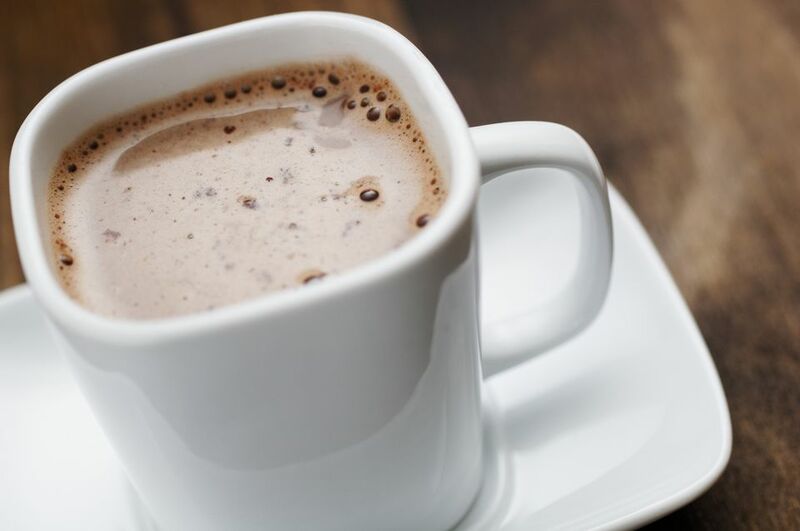 This quick and easy recipe for instant coffee-flavored hot cocoa is ideal for a fast fix. Some people crave a mocha but don't want to get dressed and head to a coffee house. Save time as well as several dollars by making it at home in just a couple of minutes. This is a convenient recipe to keep in mind at work, school, traveling, or camping when there isn't access to a kitchen or coffee stand. Instant coffee may not taste great on its own, but it'll satisfy the coffee fix. Adding cocoa and cinnamon can make a world of difference. Make sure there is enough cocoa mix and instant coffee before getting started. Buy in a bulk container of each, and measure out servings. Buying individual packets, which cost more per serving, is also an option. Cocoa mixes may be those that have dry milk included (only needing water) or those that require being mixed with milk. It's up to you which will be more convenient. Substituting soy milk or another milk alternative is possible for those avoiding milk products. Bring the liquid (milk or water) to a simmer. Place the cocoa mix and instant coffee granules in amounts for one serving (as directed by each) into an empty mug. Add cinnamon to the mug, and then, stir in a small amount of milk to create a paste. This is easier to do with a fork than it is with a spoon. Gradually add the rest of the hot liquid while stirring. For those who like to have this coffee cocoa often, mix the dry ingredients ahead of time, and keep them in an airtight container. Just before measuring it out, shake the mocha mix to ensure it is still well-mixed. If you want more chocolate flavor, increase the amount of cocoa mix. This recipe has a significant amount of cinnamon, so feel free to adjust the amount. A little cinnamon gives cocoa a nice gourmet zing, but it's not for everybody. Using a cinnamon stick to stir the cocoa is another option. For the holidays, a candy cane can be used as a stirring stick, adding a peppermint flavor to the cup.